Watch NCIS: Los Angeles Season 5 Episode 16 online via TV Fanatic with over 5 options to watch the NCIS: Los Angeles S5E16 full episode. Affiliates with free and paid streaming include Amazon, iTunes, Vudu, YouTube Purchase, and Google Play. 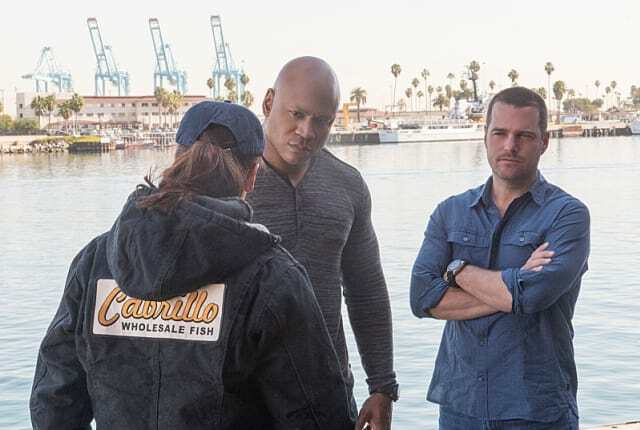 The team works with an undercover DEA agent to find out if a bombing at a fish market is terrorism or a drug deal gone wrong on NCIS: Los Angeles.